Patrick has been determined, for the last two nights, not to go to sleep at bedtime. Since I was busy getting orders out (they're out!) 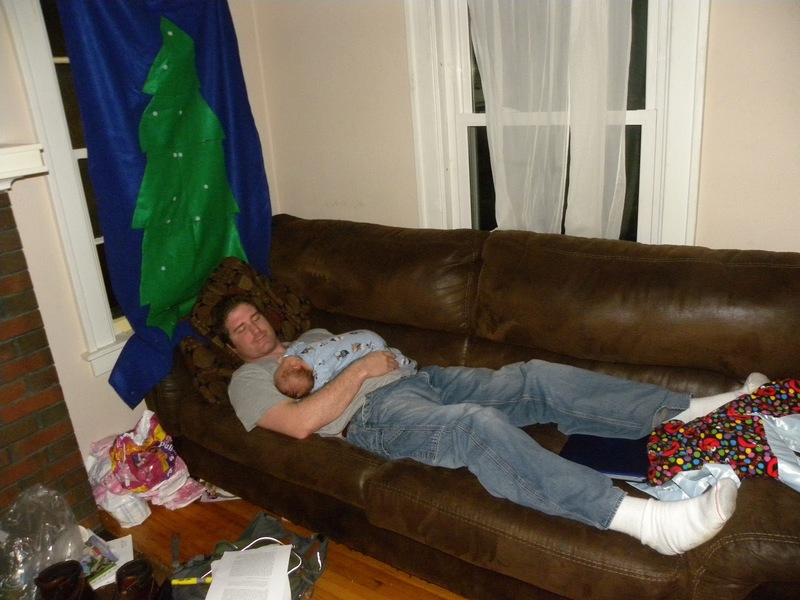 that meant that he got to spend some quality time with Daddy, before Daddy headed out to the library. awww how sweet! Couch time with Daddy is the best. My husband says it was his best memory during that exhausting newborn stage. He's looking forward to doing it again in April (we're expecting #2!). Congrats on Patrick, he is so precious.